Earlier this week I posted my two recently completed and the community has had so many nice things to say. If you're from Reddit or Facebook or Instagram, welcome! And thank you for taking a look. These paintings were always an itch at the back of my mind, but now that I'm actually creating them, they are working out even better than I'd hoped they would. Take a look! Read below for info on prints, if you want one of these beauties on your own wall. Sunshot *Red Dwarf* - 42x36" acrylic and mixed media on canvas. In discussion on those two paintings earlier this week, a handful of people expressed a desire to order a print, so I am am working on options for that. Right now I am taking pre-orders for a 19x13 print (it will probably end up being a bit bigger). If you want one, I'm starting with limited batches, so click through to see if the print you want is available! They're fairly inexpensive and 20% of proceeds go to charity, the rest gets you art and gets me to GuardianCon. As noted above, 20% of all print sales (same for all my sales at GuardianCon) will go to St. Judes. All other proceeds get me to the convention itself- and at this point, I may even be setting up a charity livestream painting marathon... More on that soon. Photos here and on Etsy do not represent exact print details- these photos are for preview only. Much, much higher resolution photos will be used to source the prints. - ~19x13" digital print on heavy matte paper with archival ink - $25 USD. Check back at my Etsy shop, this blog and my Facebook, Instagram and Twitter feeds (links above). I'll likely be adding more works for sale and possibly other pre-orders through the week. And if there is enough demand, I can make time to do multiple runs of these prints. Not interested in a print, but still want to help out? 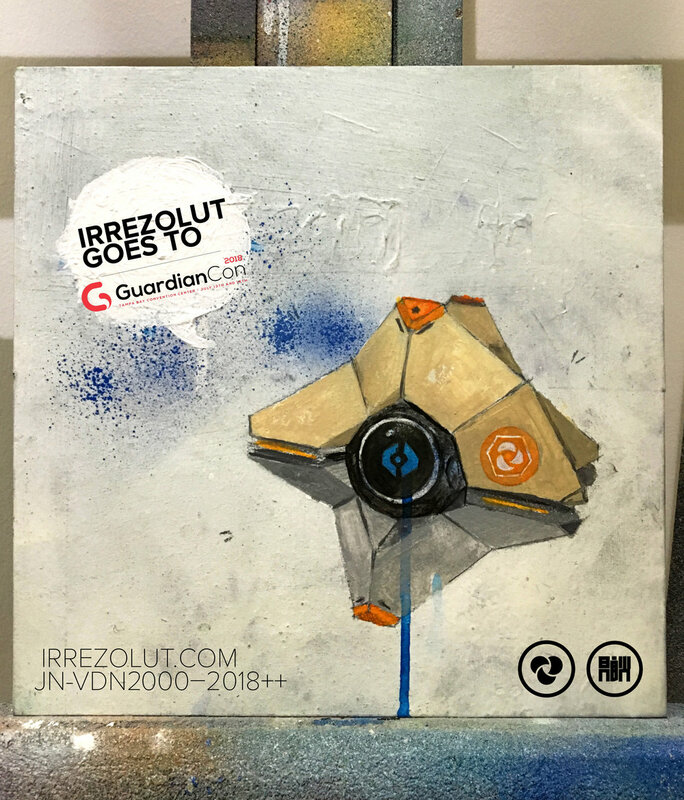 Click through to visit my GoFundMe to help me get to GuardianCon 2018! THANK YOU FOR READING! More soon!